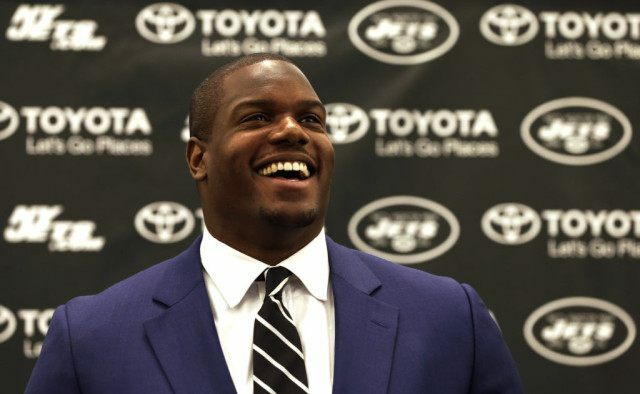 FLORHAM PARK, N.J. (AP) — D’Brickashaw Ferguson insists it was simply time for him to walk away from football and that playing at a high level in the NFL was becoming increasingly more difficult. The 32-year-old New York Jets left tackle, who recently announced his retirement, was honored Thursday during a news conference at the team’s facility that was attended by several current and former teammates. Ferguson made headlines last season when he said he felt “betrayed” by the NFL’s past approach to head injuries after watching the movie “Concussion.” But he says the potential effects of chronic traumatic encephalopathy didn’t factor into his decision. Ferguson disclosed he had heart surgery when he was 9, and acknowledged how blessed he was to play 10 years in the NFL without ever missing a snap because of injury.